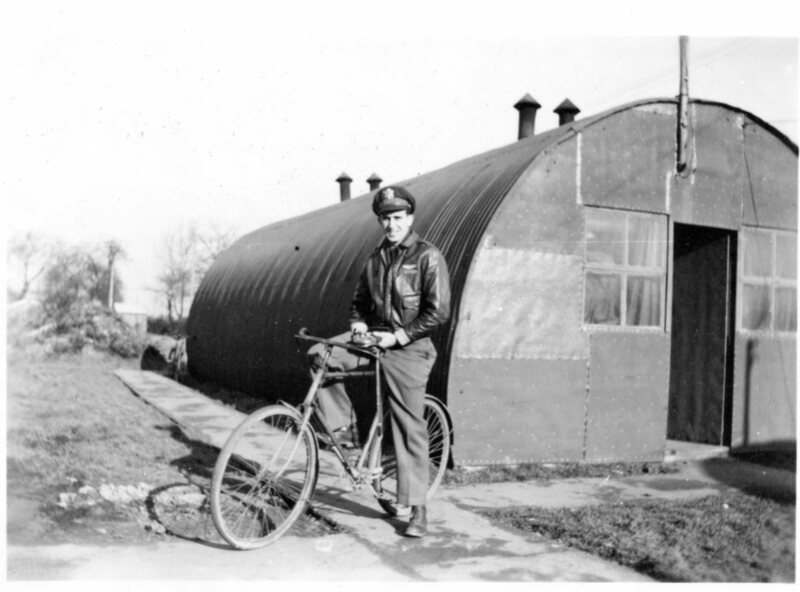 Kenneth E. Cline outside his living quarters at Wendling. Tomorrow they expect the weather to be inclement again.1 I was planning on going down to see Verne — called him up today but couldn’t reach him. 1 On Easter, the 392nd Bombardment Group planned on having a picnic at Castle Acre, the ruins of a historical priory within walking distance of Station 118, Wendling. The weather failed to cooperate, and the picnic turned out to be a wiener roast using fireplace in the Group’s library. It took over three hours to roast all the wieners. “Aeroclub Activities for the month of April.” 392nd Bombardment Group (H) History, April 1945, Headquarters 392nd Bombardment Group (H), 2 May 1945, microfilm B0445, Maxwell AFB, AL: Air Force Historical Research Agency, 1973, frame 1881. This entry was posted in Uncategorized and tagged Castle Acre, Easter, picnic, Verne R Gray. Bookmark the permalink. On this date in 1945, Operation Iceberg began … one of the war’s bloodiest engagements. Am I out of sync ? Or is Kenneth unaware that Verne was killed earlier or am I wrong? Ken tried to call him yesterday, on Easter, but couldn’t get in touch with him. What I mean is this, On March 14th Verne’s plane crashed and I assumed that Verne died with it. So two weeks later and Kenneth isn’t aware of this?